Don Eduardo León Asensio Jimenes, a famous santiagueño and philanthropist, had a special penchant for encouraging growth in the visual arts, and sought in particular to contribute in the development of young artists’ talent. In harmony with this thinking, the León Jimenes Art Contest was started in 1964, in an effort to promote and exhibit the work of Dominican artists of varying ages. He also established a foundation to continue this work, and that foundation went on to construct the León Jimenes Cultural Center in 1999. 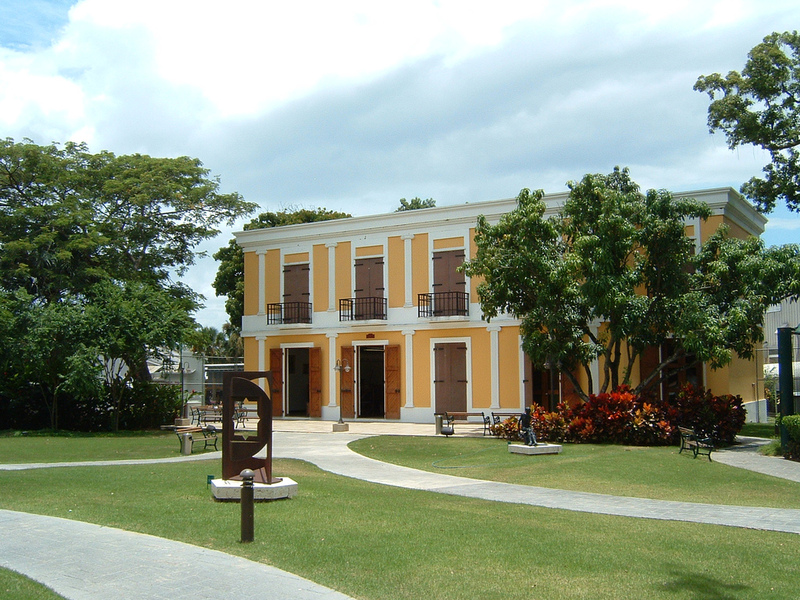 The León Jimenes has two permanent exhibit halls on the first and second floors, which contain Dominican colonization period artifacts and historical paraphernalia. There is also an additional first floor hall that displays temporary exhibits that feature works from individual artists, individuals, and institutes. Every Tuesday the center allow free entrance to the public, permitting everyone who appreciates art to come and enjoy it, no matter how much they have in their wallet. The Anthropological Hall is the first of the three, and is located on the left side of the main hall nestled among a few of the graceful fernlike trees that are found scattered about the grounds. It contains a historical exhibit that carries the viewer from the rise of the island to the culmination of the multicultural people that make-up who they are today, using a variety of indigenous artifacts, pictures, sounds, and tangible constructions to depict the process. The León Jimenes Art Contest that Don Jimenes started over forty years ago is still held every year on the second floor in the Visual Arts Hall where visitors are free to roam about and enjoy the contributed works. Among the works included in the Temporary Exhibition Hall, located on the right side of the main hall, are sculptures from The Louver, the beautiful photos of Dominican photographer Domingo Batista, drawings from the late santiaguero Yoryi Morel, and many others. The duration of these exhibits varies according to showing availability and scheduling. The many free concerts and activities are particularly of interest to local residents. Each month the center hosts different video concerts, films, literature commentaries and video debates, folklore discussions, and workshops, all of which are open to the public. The video concerts feature a variety of recorded artist performances, such as the Red Hot Chili Peppers, Auidoslave, Bob Marley, and Radiohead. Most of the films shown are family films like this month’s Charlotte’s Web, an adaptation of the E. B. White story. Any book, novel, essay, art subject, or video medium, or cultural theme can be the subject of the recorded literature commentaries and video debates that are featured every month. These are interviews of different authors, reporters, and other public figures. The folklore discussions cover a variety of cultural subjects related to art. Center workshops focus on art and learning topics and techniques like teaching, drawing, painting, and learning. 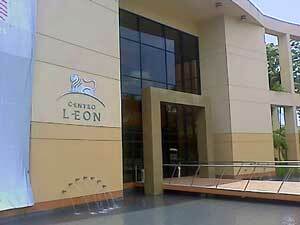 More information about hours, activities, and other details, go to the Center’s site Centro Leon, Dominican Republic . This webpage is in Spanish, but it has a lot of information and even has a printable Events Calendar each month that is great to have on hand for organizing events and trips. I’m applying for a fulbright to do a community based project in the visual arts 2012-13. I wondered if the cultural center can be of help. Who should I contact or is there another arts organization that works with international artists. I’d be happy to send further information if needed. Thank you. We are not associated with the Leon Jimenes Cultural Center. Our purpose is to report on various aspect of the Dominican Republic. You will need to contact the Cultural Center directly with your questions.